In case you haven’t heard already, Tiger Woods is back. 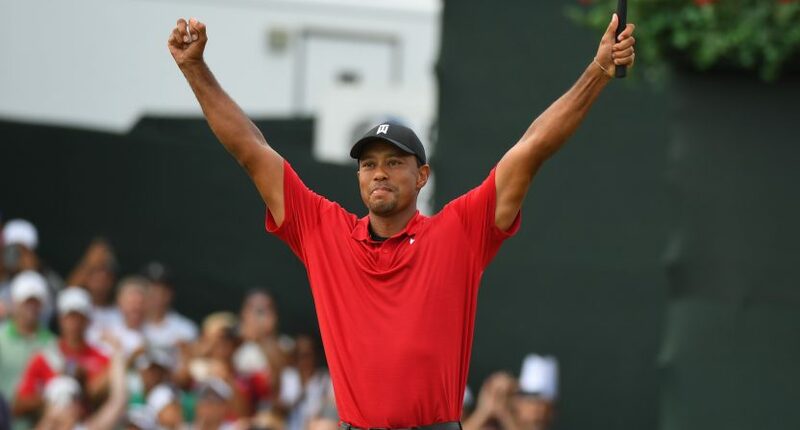 After a few top finishes, including a runner-up finish in the PGA Championship, Woods sealed off his comeback 2018 season with a win on Sunday in the Tour Championship. While he fell just short of winning the FedEx Cup, Woods won his first event in five years and did it at one of the biggest non-major tournaments in golf. Unsurprisingly, Tiger’s chase to the win resulted in a ratings increase for NBC compared to previous years. Golf Channel announced that final round coverage on NBC drew a 5.21 overnight rating, up 206% from 2017, making it the highest non-major PGA Tour broadcast of 2018. Streaming was also way up, as you would expect: the final round of the Tour Championship resulted in 18.4 million minutes streamed, up 561% from last year. That makes it the most-streamed Sunday round on NBC’s family of networks since they started streaming in 2013. This seemed to coincide with NBC’s announcement that their third round overnight rating was up 142 percent (3.14) over last year and their highest rated third round in 15 years. On a fall Sunday, the NFL usually dominates the day both in the ratings and in social media chatter. While the NFL still enjoyed a slight increase in ratings compared to last year and easily won the day, it shouldn’t diminish what NBC and the PGA Tour was able to do – getting people to both tune-in and have Tiger’s victory make an impact on social media. Everyone knew about his progress on Sunday as he continued to distance himself from the rest of the field. Given his back injuries over the past couple years, it sounded like it would be a victory in and of itself for Woods to just stand upright and walk without pain. Now, Tiger is winning tournaments again. At 42, it may not be likely for Woods to pass Jack Nicklaus’ 18 major wins, but it may not be wise to count him out.